It's America…We Can Get Over The Hump! Hump Day Report: More “Flukes” From Obama’s Past? 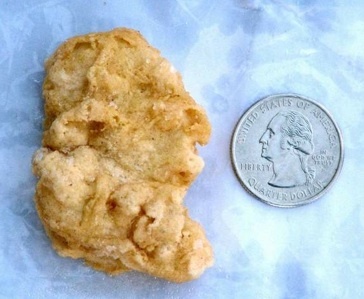 This chicken nugget that looks like George Washington is a fluke. Obama's association with radical leftists throughout his life is not. ALOHA, ALL!! Yes, another HDR within 24 hours – I’m trying to catch up from my absence this past week. This issue focuses on the vetting (or lack of by the lame stream media) of Obama. Yep, interesting how so many of his radical associations were either down-played by the press or actively hidden during the 2008 presidential campaign. But thanks to Andrew Breitbart, no mas!! Did you know…that “Sen. Baraka Obama” appeared as a panelist discussing the “virtues” of Saul Alinsky? This happened in 1998, after a play titled “The Love Song of Saul Alinsky” was shown in Chicago. In his final article, Andrew Breitbart uncovers Obama’s role in this production: The Vetting, Part I: Barack’s Love Song To Alinsky Be sure to look at the names on the poster and read about who all these people are. But Barry wasn’t influenced by radicals – of course not! Did you know…that there is actually a videotape of the Alinsky love-fest play, but the owner refuses to release it? Obama Ally Won’t Release Alinsky Tape – Common American Journal “Dickler told our source that she doesn’t believe she’s ever watched the tape, and she doesn’t know if it “can be viewed.” But she added: “No one is going to see the tape.” She said she felt “very protective over it … due to all of the interest from conservatives recently.” She also told our source that the poster for the play was never supposed to be distributed.” But Barry doesn’t have anything to hide – of course not! Did you know…that Obama went from one radical “faith advisor” (Jeremiah Wright) to another? Obama’s Former Faith Adviser: ‘I, Frankly, Am Glad American Civil Religion is Dying’ “Shaun Casey, the religious affairs adviser to presidential candidate Barack Obama in 2008, said at a discussion on Tuesday about “God and Politics” that the demise of religious society in the United States is a good thing.” So let’s see….Wright can damn America and Casey can damn religion. But Barry isn’t influenced by radicals – of course not! Did you know…that Obama and Derrick Bell remained close up until Bell’s death and that Bell visited the White House in 2010? White House: No Comment on Derrick A. Bell’s 2010 Visits “The White House did not return a request for comment. The visits were on 1/29/2010, a Friday and 1/31/2010, a Sunday. For now, a web search of news reports did not turn up why Bell may have been in Washington that particular weekend.” But Barry was just a young law student when he knew Bell and didn’t give his ideas another thought once he got out into the real world – of course not! But Barry isn’t influenced by him, Wright, Ayers, Dohrn, Alinsky, Frank Marshall Davis or every other leftist he’s ever known – of course not! They’re all just fluke associations and encounters from Obama’s past. GOD BLESS AMERICA – PASS THIS ON – REMEMBER IN NOVEMBER!! BE SURE TO USE THESE “RULES FOR RADICALS” TACTICS, BECAUSE YOU CAN BET THEY WILL BE USED ON YOU!!! Look For More Rules In Future Postings – Let’s Roll!! CLICK HERE FOR YOUR DAILY LAUGH! Follow The Hump Day Report! 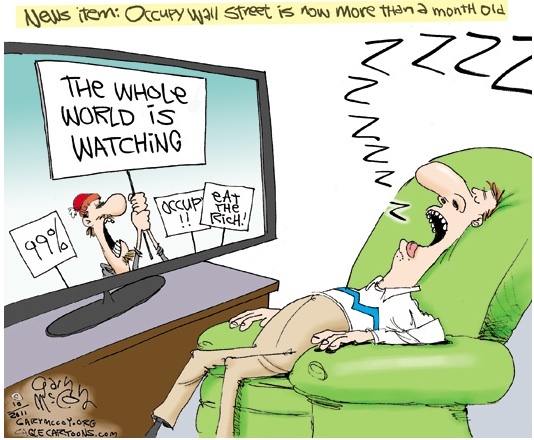 2011 – Click HERE For Free Hump Day Report Subscription! SarahNET – We Support Sarah Palin! An American Patriot Who Has Gone Rogue! "Give me your tired, your poor, your huddled masses yearning to breathe free, the wretched refuse of your teeming shore. Send these, the homeless, tempest-tossed to me, I lift my lamp beside the golden door." "We hold these truths to be self-evident, that all men are created equal, that they are endowed by their Creator with certain unalienable Rights, that among these are Life, Liberty and the pursuit of Happiness. That to secure these rights, Governments are instituted among Men, deriving their just powers from the consent of the governed."